With the most comprehensive range of fabrics and colours to suit any application, we supply textured, patterned and fire retardant for commercial and residential use. This includes Zebra blinds being a unique blind featuring the ultimate combination of utility and style with striped fabric that allow the desired amount of light in or out. This feature makes it perfect for every room in the house. 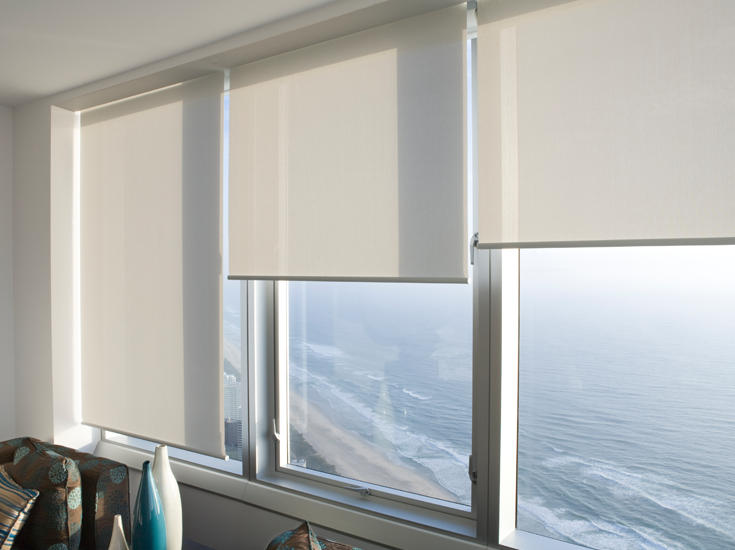 The honeycomb blind is both practical and attractive. Honeycomb blinds are efficient insulators with the unique hexagonal shaped cells providing a contemporary look that hold air in the pockets so your rooms stay warmer in winter and cooler in summer. Economical way to control glare and privacy as the blinds roll down; chain control, comprehensive range of fabrics and colours to suit any application, we supply textured, patterned and fire retardant for commercial and residential use. There are 2 applications which may suit your desire, chain control and remote control.